All these years i never knew the Miss Jackson outcast song was actually about Erykah Badu's mother.Wow! Funny how lyrics to songs can work.Sometimes you make wrong assumptions and sometimes you miss the obvious. 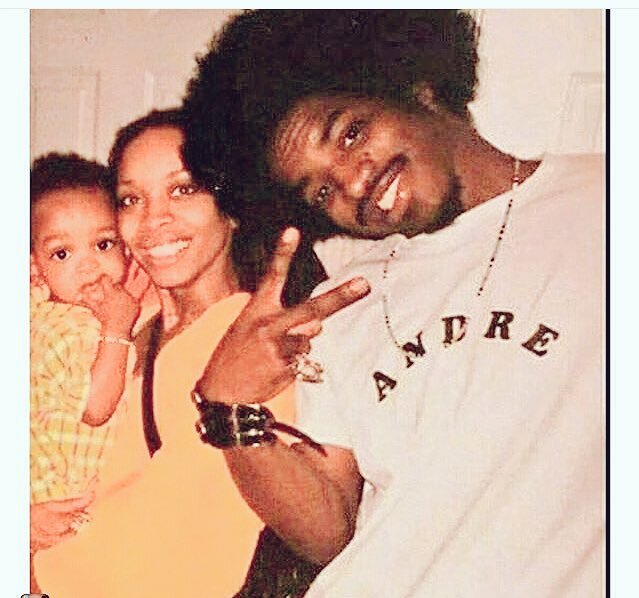 We all remember the brief romance between Andre 3000 and Erykah.It was cute ,it was sweet and we all hoped it would last.But alas,it never did.Something good came of the brief relationship in the late 1990s though,a son,with the most perculiar name,Seven Sirius Benjamin,well,you wouldn't expect any less from those two would you?That boy is a big boy now,he is 19 years old. Awwww that is so sweet..brings tears to your eyes,but it is very true and profound though,you can plan a picnic,but you can't predict the weather. Thankfully,both parents are firends now and dad has a beautiful relationship with his son to the extent that he moved to Dallas permanently just to be near his son when he was in high school. Now let me go listen to some Outcast and take a peep at that Erykah badu booty! Where did that come from though?I remember i was watching this particular Soul Train award,she turned round and that booty came out of nowhere like Boom!!! And ever since that day i have been an even bigger fan!